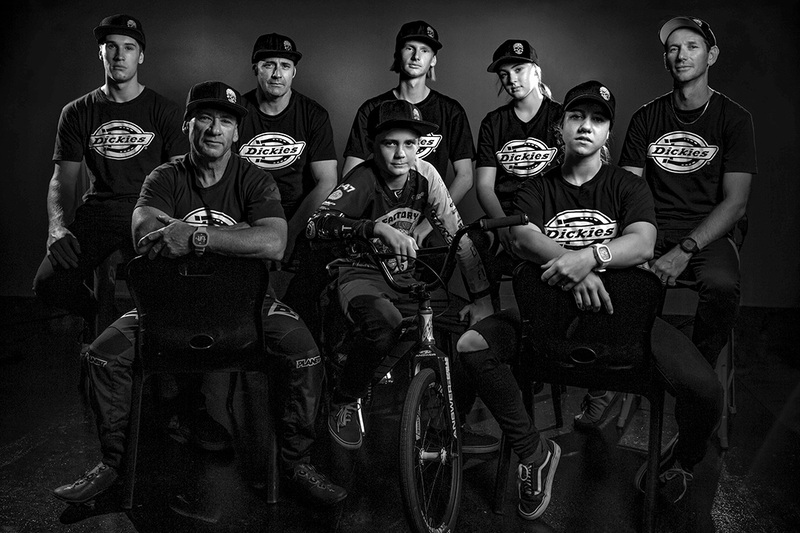 Meet the Factory 47 BMX racing team out of Queensland, Australia. 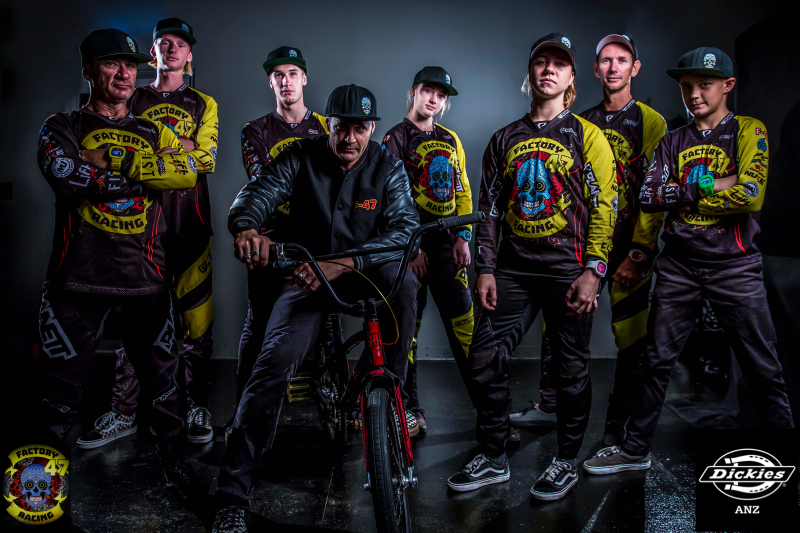 They're here to raise the bar of professionalism in the sport of BMX racing - with no signs of slowing down. We spoke to Ian 'Macca' Maclachlan, to gain some insight into the world of Factory 47 BMX - dive in! So tell us about Factory 47 BMX crew and when that started? Factory 47 is an extension of my production company Factory 47 Production services which creates action sports vids. I've had a long history in BMX and 4 years ago I got back into the race scene and formed a team as my way to give back to the sport that gave me so much as a kid. Who is the crew made up of? We have 3 masters riders competing that have been in the sport for decades who each have won titles both from back in the day and current. In our junior ranks Jen Butler (15 year girls) and Jayden Lackey (13 year boys) are both in the top 8 in QLD. At the elite level we are lucky to have Reyne Barnsdale (junior elite) and Jenna Williams (senior elite) who are at the very top end of our sport. We even have a mini wheeler rider Bobby Maclachlan who is 4 years old. How often are you all travelling around Australia and abroad? Anything upcoming you would like to share? For most of the team it's all kept local for the majority of the year, QLD and national championships and at the higher end world championships require travel at those times. Jenna Williams is currently racing in the national series which requires her to race in just about every state / territory in Australia this year. Tell us about some of the rider's career highlights, young and experienced. We really like to celebrate the small milestones as much as the big ones. Seeing our junior rider Jayden make his first state title final since starting racing only 4 years ago was almost as good as winning it in my eyes. Our masters rider brad finally won the state titles after a long time chasing the skinny digit, 20 years in the making. For me, supporting these riders I get more nervous for them than I do racing my own title events. At the elite level it's just so tough and I love watching our 2 elites ride. Jenna and Reyne have so much raw talent, they've both won titles in our junior ranks but at the top end are currently chasing their goals to get on the top step. You were previously partnered with GHP frames, now that they have closed shop, which frames are you looking to partner with? Good question. The thing is that a bike is so personal to each rider. We had a great deal with GHP, it wasn't exclusive meaning that any of our riders could still ride another frame if they chose. That kind of deal is pretty unheard of and I can't thank GHP enough for that opportunity. I'm not a fan of telling riders what frame they should run, so right now we aren't chasing a deal, enjoying exploring what's out there. If the right manufacturer came around though, we are always willing to chat. Do any of your riders cross over between racing and freestyle BMX? The short answer is no not really and most likely less than ever. Not to say that ours or any riders don't have the skill, but you are more likely to have racers transition to a velodrome, mountain bike or other cycling disciplines. Racers train a lot on power, which is why some of the most successful cycling / mountain bike athletes have had a background of BMX. In saying that one fo our former riders Ksea Mudge is a name to keep an eye out for in the freestyle world. From your crew, who's encountered the worst injury in your opinion? Unfortunately that's easy to answer. Reyne busted himself pretty good on a training night. Handlebars snapped and fell into the takeoff of a jump. Severed liver, torn tendon in his shoulder, bruised lung, torn ab muscle. Sidelined Reyne for 12 months and is just about t make his comeback. The BMX community is tight, would you say this is one of your favourite aspects about being involved with the sport? It is very tight. There are so many current masters riders that now have their own families racing, riders that fill many different teams / clubs. It's a good mix of old skool and new mixing together. Everyone is genuinely happy for each others results. I really enjoy catching up with everyone on a race day. Some of the guys that I race now I raced 30 years ago on the same tracks. Any recommendations for people looking to get into the sport that you would like to share? Look for a good local bike shop that is involved with BMX racing. They are generally a wealth of information on the club scene as well as what to buy and more importantly what not to buy straight away. Look for your local club, it's a very friendly and accomodating scene and always welcoming new riders. Thanks for your time Macca! Keep up to date with Factory 47 here!